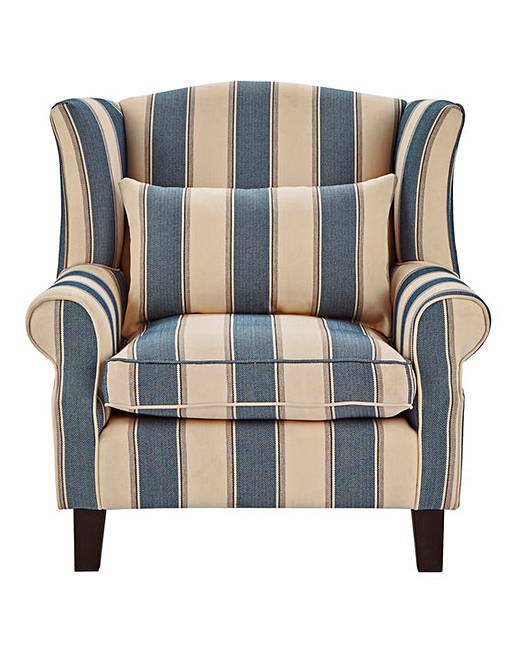 The Harbour Wing Chair offers fantastic value and is designed with comfort and practicality in mind - with full-length side lips and scroll arms. 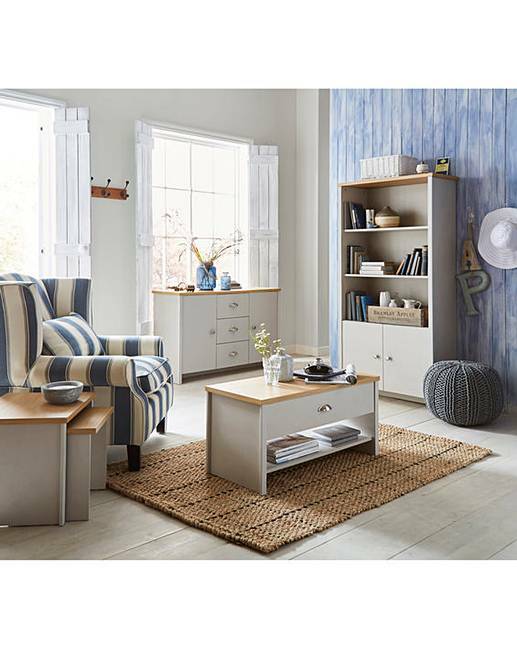 Upholstered in an on-trend durable stripe fabric in multiple colour options to suit any decor. H.93 x W.92 x D.87cm. 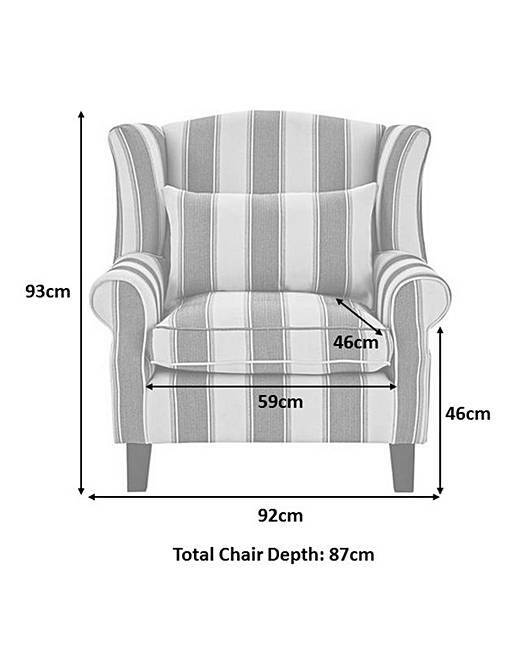 Seat area W.59 x D.46cm. Seat height from floor 46cm.